Orthophotography has been the foundation of local and regional mapping efforts in Missouri the beginning of the first GIS program in the state. Simply put, an orthophoto is an aerial photo with the distortion of elevation removed so it can be used as a basemap for computerized mapping systems. They allow users to accurately measure distances, calculate areas, determine shapes of features, perform change detection and are commonly used for assest management, Census, tax assessment, flood mapping, planning, and economic development. Sensor (digital and film camera) technology and processing software continues to improve the quality and accuracy of the ortho datasets. At the same time, higher pixel resolution imagery is becoming more affordable, and many counties are poised using 6-inch resolution 3-inch resolution in cities. 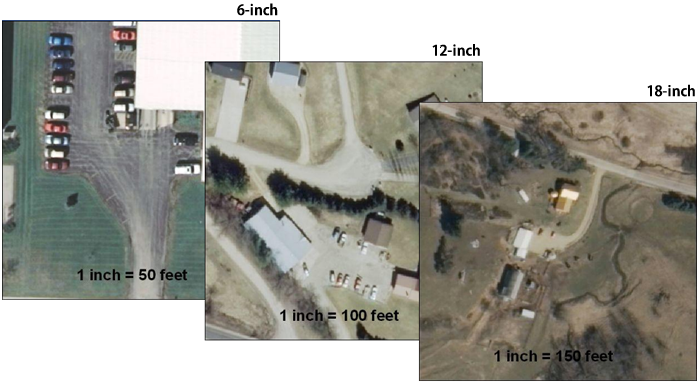 Generally speaking, an average sized County (600 sq miles) can expect to pay between $120 and $235 per square mile for 6” imagery or between $45 and $125 per square mile for 12” imagery. Alternately, if a number of counties go in together and do a regional flight, prices could be as much as 20-40% less for both 6” and 12” imagery. – Prices are based on contiguous flight areas, individual costs may vary due to flight shape and the availability of ground control. Please be aware some Counties may cost more or less. Please use these budgetary cost estimates with caution. 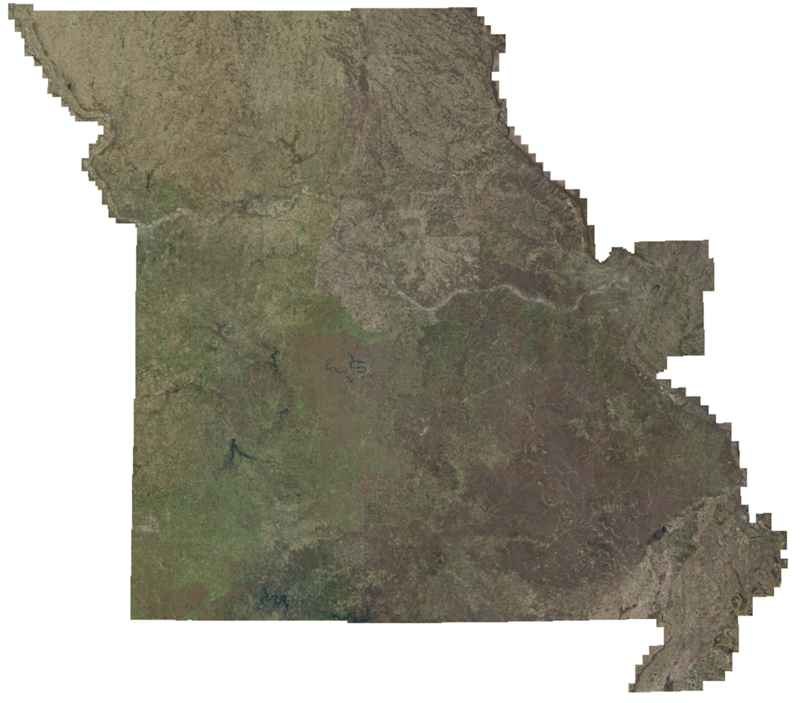 Below is a map showing the the 2015-2016 State-wide 18″ resolution orthoimagery flight flown by Quantum Spatial, Inc. & Surdex Corporation with East West Gateway, Adair, and Mid-Missouri local partners and hosted by Missouri Spatial Data Information Service(MSDIS).